On Counting On Season 9 Episode 11, John and Abbie's wedding finally arrived, and everyone prepared for the wedding event of the season. Who was late? 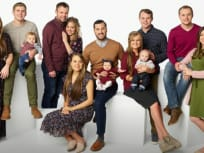 "To Grandmother's House We Go"
On Counting On Season 9 Episode 6, John David and Abbie flew to the Philippines for a mission trip weeks before their wedding. How did it play out? On Counting On Season 9 Episode 5, John and Abbie's wedding day was just around the corner, and there was still a lot to do. Did Abbie find the perfect dress? On Counting On Season 9 Episode 4, John and Abbie's wedding looms and the family starts a bake-off to make a wedding cake. Who wins the race? 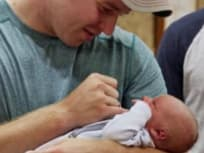 On Counting On Season 9 Episode 3, Jinger and Jeremy got a dose of reality as they adjusted to life as new parents, but who helped them out? 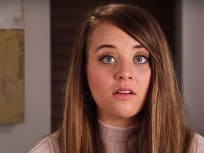 On Counting On Season 9 Episode 2, things took a turn when Jinger's pregnancy was filled with problems. Which members of her family showed up to help? 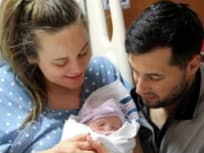 On Counting On Season 9 Episode 1, Jinger and Jeremy finally got to meet baby Vuolo, while John whisked Abby away to ask her for her hand in marriage. 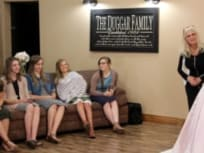 On Counting On Season 7 Episode 11, John David and Abbie got married, but took a trip down memory lane before the nuptials in front of their family. "Josiah & Lauren's Prank-less Wedding? " 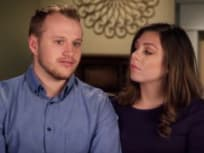 On Counting On Season 7 Episode 10, Josiah and Lauren's wedding day brought with it a whole lot of drama, pranks, and love. How did it all pan out? On Counting On Season 7 Episode 9, Jinger and Jeremy threw a gender reveal for their family, and it even had a surprise for Jinger. What was it?